On May 28, 1945, Second Lieutenant Shigeru Nakata took off from Chiran Air Base and died in a special (suicide) attack west of Okinawa at the age of 20. He was a member of the 45th Shinbu Special Attack Squadron and piloted an Army Ki-45 Army Type 2 Toryū Fighter (Allied nickname of Nick). After his death in a special attack, he received a promotion to Captain. He was from Ōsaka Prefecture and graduated from the Imperial Japanese Army Air Academy in the 57th Class. He wrote the following two final letters to a person in a family who cared for him during his stay at Harunomachi Airfield in Fukushima Prefecture. The second letter has a death poem in tanka form (31-syllable poem with a syllable pattern of 5-7-5-7-7). Today on the 25th I arrived at Chiran Airfield and joined my squadron. The general attack will take place tomorrow or the day after tomorrow. There was a confirmed report that Kawaguchi did not return on May 4. Since the weather will be bad tomorrow, I think that it will be the day after tomorrow on May 27. I left you at the airfield. To tell the truth, I did not want you to come. It was because the farewell became even more difficult. Please give my best regards to everyone and especially Hiroshi-chan . A reply will be useless. I am sitting down in the cypress woodland where the cicadas are singing, and I have started to write. The order has not yet come. The regiment that was in Haranomachi is working hard at the air base where we are at now. As for my three classmates, Yamazaki, Kawamoto, and Hoshino, who were lodging at Uokin, Hoshino is the one person who remains. A non-commissioned officer from the same sentai (regiment) told me that Kawaguchi did not return on May 4. This non-commissioned officer told me that he was very active beforehand and was a valuable person. There are persons who at great pains came here but have not been able to make a sortie due to breakdowns. Our squadron was formed a long time ago, and the squadron members are outstanding. Even among Shinbu squadrons, ours is acknowledged to be the best. With a tremendous spirit of certain death, we have confidence that we certainly will achieve a tremendous battle result. Now we will go with a fervent fighting spirit and serene state of mind. We are burning with a spirit to completely destroy the enemy. Tomorrow is decided for our first battle. Our Shinbu squadron will crash dive with all of its might. One aircraft carrier. Ah, a carrier, carrier, carrier… In my mind is pictured an aircraft carrier. Enclosed is a small money order. I think that it may cause a bad feeling, but please accept it. Please use it for incense sticks or something else. At the vanguard of the 9th General Attack, we will fall at Okinawa at about 7 o'clock on May 28 as the 1st Attack Squadron . The moon is beautiful and bright, and I remember Haranomachi. Disregarding all emotions, tomorrow I will crash dive. Thank you for many things for a long time. Now I will go in high spirits. Having severe hardships, yesterday on the 25th I finally caught up with the main force at Chiran Airfield at the southern tip of Kyūshū . Today is rest, and tomorrow on the 27th the general attack will take place. I heartily thank you for the many ways that you cared for me during my stay at Matsudo. In that way it was truly rare that I could take it easy to relax and that you let me rest sufficiently. On the 24th when I made a phone call to your home, you were very surprised. I clearly recognized that everybody was waving a Japanese rising sun flag. When I took off from Matsudo Airfield, I flew over two times, but did you know that? As for tomorrow's general attack, I almost was alone. I tried so hard to find the place where they were going, and finally I reached them. The squadron leader first and the squadron members are extremely glad. Particularly Yokuni and Miyai are happy. Tomorrow I together with my charming men will go to Okinawa to search for an aircraft carrier. Please await the battle results. I will leave now since I will assist in preparations. I end my writing as I pray from faraway Chiran for everyone's health. In yesterday's letter the attack was expected to be carried out today, but tomorrow morning on the 28th at about 7:00 I will crash dive at Okinawa. The expected battle result is one aircraft carrier instantly sunk. Everyone is extremely fired up, and tremendous battle results are expected. Once again I warmly thank you. Tomorrow I will go. The letters come from Chiran Kōjo Nadeshiko Kai (1996, 66-70). 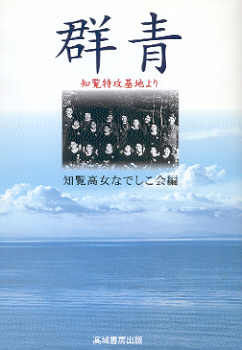 The biographical information in the first paragraph comes from Chiran Kōjo Nadeshiko Kai (1996, 66), Chiran Tokkō Irei Kenshō Kai (2005, 194), and Osuo (2005, 197). 1. The suffix -chan is often added to children's names when calling them by their given names. 2. Two Type 2 Toryū Fighters (Nicks) from the 45th Shinbu Squadron hit and sank the destroyer U.S.S. Drexler (DD-741), which lost 158 men. The article "Who Sank the Destroyer Drexler?" evaluates the evidence to support this claim. The two fighters hit Drexler at 0654 and 0702, respectively, which were times very close to the planned time of 0700 indicated by Nakata in his letter. 3. This statement and the fifth paragraph of this letter most likely explain why Nakata was missing from the 45th Shinbu Squadron photograph shown in the article "Who Sank the Destroyer Drexler?"